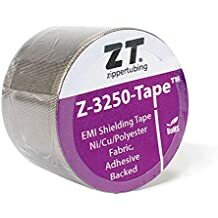 Zip Wrap Pvl - Lightweight Jacketing - Wire And Cable Bundling - Products - ZT | Zippertubing Co.
0.5" 0.625" 0.75" 0.875" 1.0" 1.125" 1.25" 1.375" 1.5" 1.625" 1.75" 1.875" 2.0" 2.25" 2.5" 2.75" 3.0" 3.25" 3.5" 3.75" 4.0" 5.0" 6.0"
Zip-Wrap (PVL) is available in custom diameters and lengths. Simply wrap and zip! Professionally bundle your messy wires or cables. 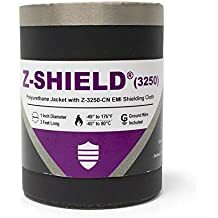 Zip-Wrap® (PVL) is a lightweight, abrasion-resistant, zipper sleeve comprised of flame-retardant polyester fabric that is coated with Polyvinyl Chloride (PVC) on both sides. This product is versatile and well suited for any round, flat, or rectangular cable bundling application. You now have the ability to quickly wrap, zip, and enjoy. This product is comprised of a molded Nylon tooth plastic zipper, PVL-10 coated fabric material and is sewn using a nylon thread. The zipper style of closure allows for a seamless installation without the need for tooling on assemblies that require re-entry after your installation. Zip-Wrap® is ideal for cable bundles, wire harnesses, hoses and other applications where flexibility, strength, chemical resistance and abrasion protection is needed. Custom colors, lengths, widths, closure options as well as jacketing materials are also available. Cable Diameter 0.5" 0.625" 0.75" 0.875" 1.0" 1.125" 1.25" 1.375" 1.5" 1.625" 1.75" 1.875" 2.0" 2.25" 2.5" 2.75" 3.0" 3.25" 3.5" 3.75" 4.0" 5.0" 6.0"
PVL-10 is a flame retardant, PVC coated, woven Polyester fabric that is extremely flexible, lightweight and rugged. The fabric reinforced construction provides good wear resistance combined with high tear strength in an extremely thin and flexible jacket material. It's ideal for discrete wires, wire harnesses, hoses, and other applications where its high flexibility, strength and abrasion protection are needed. PVL-10 conforms to MIL-C-43006E, Type II, Class 1 and is available in six color options: black, white, gray, red, yellow and blue. The materials can be configured for round, flat and rectangular cable configurations and supplied with a large array of closure options. This material is an extremely versatile, cost effective fabric and one of Zippertubing's most popular jackets. The material is flame retardant and has an operational temperature range of -40° to 82°C. Fluid Resistance Hydro Resist - 150 psi. Toothed zippers consist of individual molded Delrin® interlocking teeth attached to a separating Polyester fabric tape which has a fixed start and stop point. The zipper is closed via a self-locking slider which make a zipper installation tool free. Toothed zippers are available as a medium or heavyweight, highly flexible, closure system for cables where a tool-free installation is desired and the open/closure cycle frequency is likely to be high. Toothed zippers perform best in round cable applications where the cable bundle diameters exceeds 1.0 inch and larger and on flat ribbon cables over 2.0" wide. Toothed zippers can be used in very large size applications by increasing the tooth size. Ideally all zippers should be used in applications that are free of dirt and debris which could cause jamming, however toothed zippers are easily cleaned with a small brush if contaminated. For smaller cables and lightweight applications use a "coil zipper" style. Zippers cannot be cut to length on site at the time of installation so assembly length must be known at the time of order. Zippers items are typically commercial items and meet the manufactures performance specification; however they can be procured in compliance to A-A-55634.